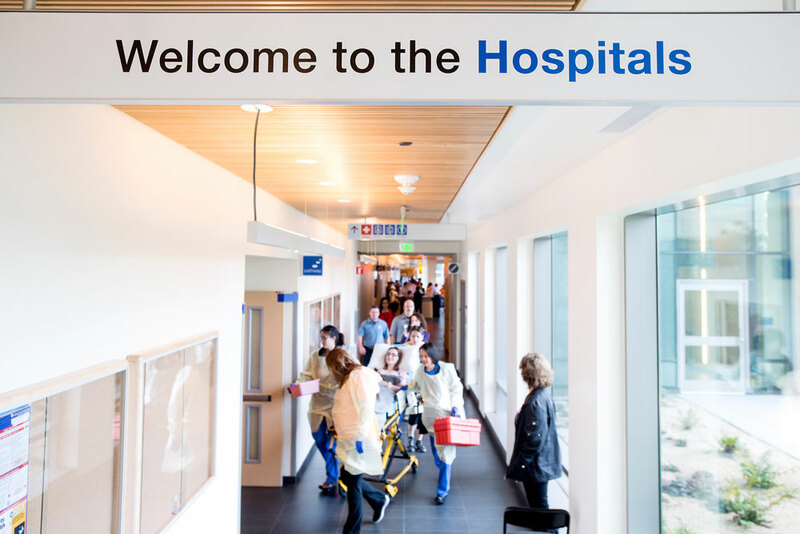 On February 1, 2015, one of the nation’s premier medical centers opened the doors of a new world class facility: three state-of-the-art hospitals at UCSF’s Mission Bay campus. UCSF Medical Center at Mission Bay comprises UCSF Benioff Children’s Hospital San Francisco, UCSF Betty Irene Moore Women’s Hospital and UCSF Bakar Cancer Hospital, as well as UCSF Ron Conway Family Medical Building. 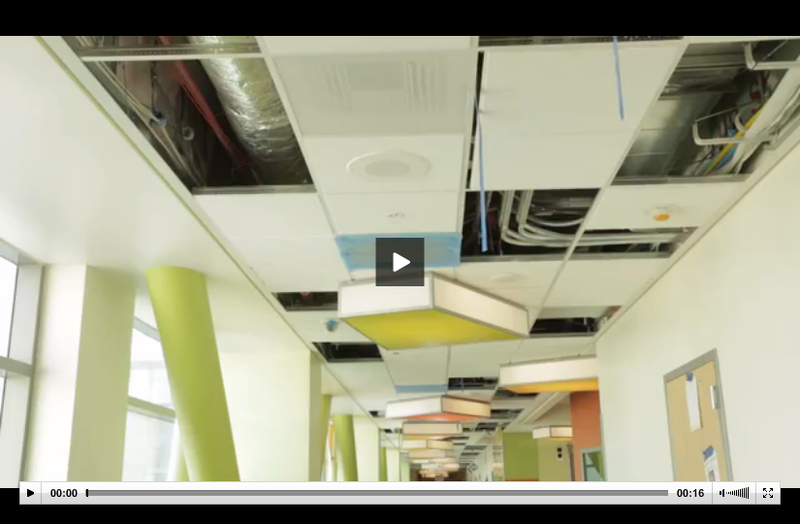 Fact sheets, images and video b-roll related to UCSF Medical Center at Mission Bay, are available on this page. 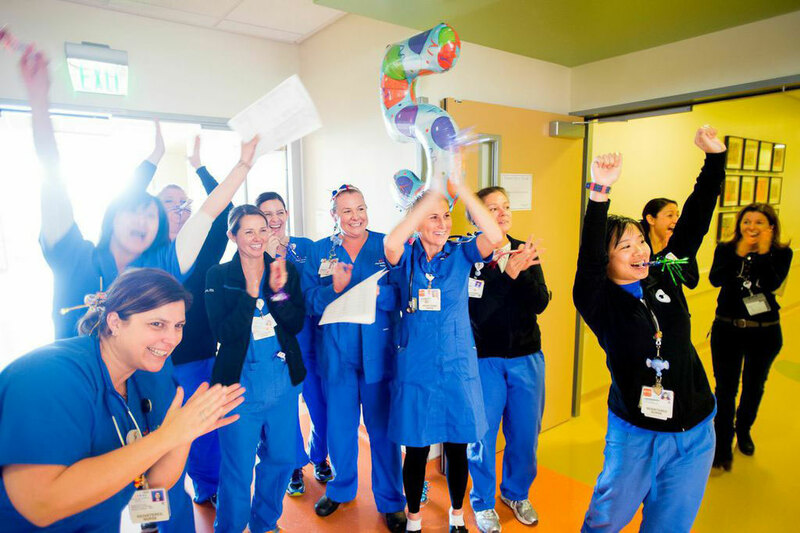 Browse a collection of photos capturing the Feb. 1, 2015, move of more than 100 UCSF patients from Parnassus Heights to the new Mission Bay hospitals. Pediatric patient arrives at the new UCSF Medical Center at Mission Bay on Feb.1 after being transported from the Parnassus campus. Credit: Noah Berger. Mission Bay Hospital Move. Credit: Noah Berger. Browse a collection of b-roll footage that includes coverage of a Jan. 29 press conference, hospital technology tours, and the Feb. 1 patient move.